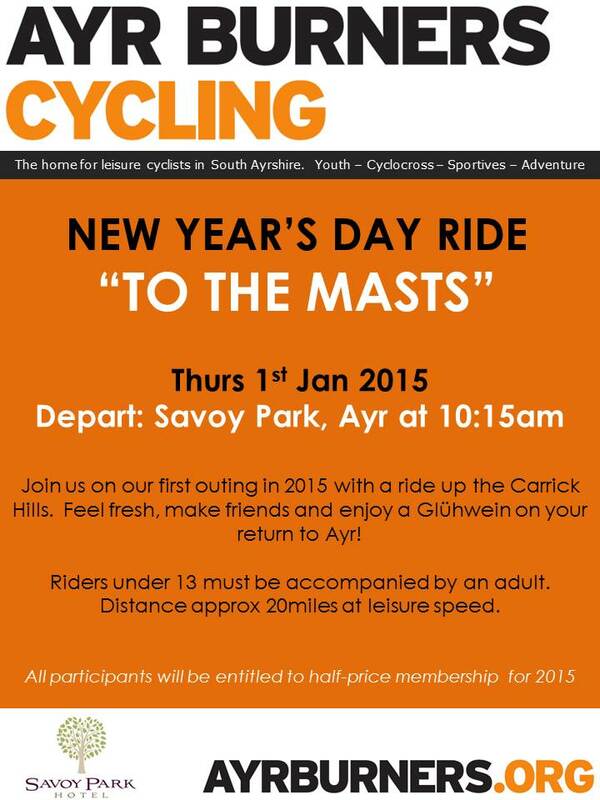 Join us for our first ride of 2015 with a trip up the Carrick Hills on New Year’s Day. 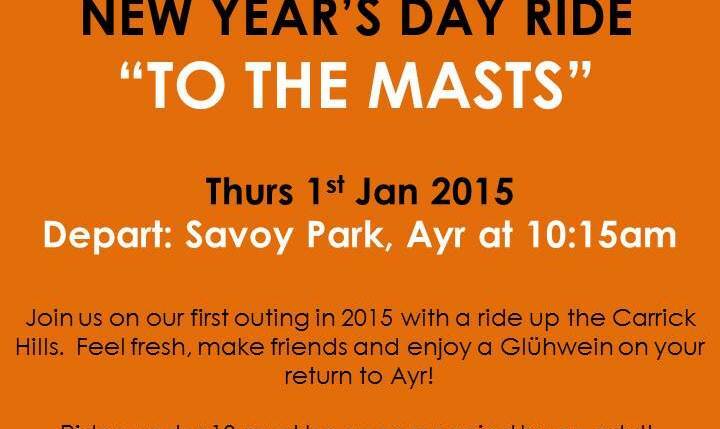 We’ll set off from the Savoy Park Hotel in Ayr at 10:15 for the 25km trip at a leisurely pace. Trained ride leaders will join us as we clear our heads and greet the new year. All local cyclists are welcome to join us. The Savoy Park will provide us warm spiced drinks on our return. All participants will also be given the opportunity to sign up to the Ayr Burners Cycling for 2015 at half price rates! Please note, riders under 13 must be accompanied by an adult.